Pañacocha is classified as a Humid Tropical Forest. Wildlife is in abundance everywhere in the reserve. A short list of possible observations includes: Howler, Squirl, Capuchin and night monkeys along with the Black-mantled Tamarin and Pigmy Marmosets, and of course the Amazon Pink River Dolphin. 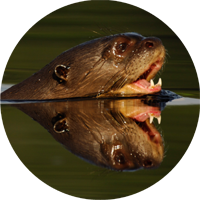 Is a network of waterways that travel through the 56,000 hectares of primary rainforest, home to jaguars and ocelots, 9 species of monkeys, 500 species of birds and many more. Important as it is in its own right, Panacocha achieves added significance as the corridor connecting 2 much larger areas, to the south, it is bordered by the Yasuni National Park and World Biosphere Park which is 982,000 hectares and to the north by the 600,000 hectare Cuyabeno Biological Reserve. Nestled inside the Protected Forest is the Panacocha Lagoon. 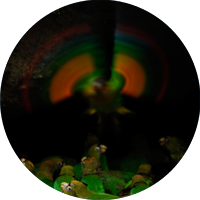 The Amazonas ecosystem, particularly its tropical rain forest, is considered to be one of the richest and most complex communities of plant and animal life in the world. The region is characterized by huge and diverse amounts of flora and fauna with extraordinary variations in their habitats and micro­ habitats. In the jungle of the Upper Amazon 100 species of trees per acre have been recorded. In Central America, only up to 40 species per acre have been discovered. In the temperate forests of North America and Europe, rarely more than 20 different species exist per acre. The Amazon's rivers, lakes, streams and marshlands support over 600 species of fish and more than 250 species of amphibians and reptiles. The lagoons of the Napo and Aguarico River basins are home to colonies of two species of caimans that grow to over 13 feet in length. 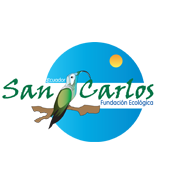 Amazon Dolphin Lodge, is a member of YUTURI CONSERVATION GROUP, an organization involved in rainforest conservation projects helped by San Carlos Foundation. 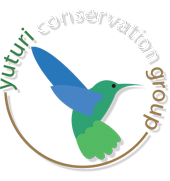 The Yuturi Conservation Group, the Pañacocha foundation and the San Carlos foundation are working together to help implement the conservation measures of the Management Plan for the Pañacocha Protected Forest. Ecuador's extensive national park system, scientific station and protected areas cover nearly a 7.5 million acres. 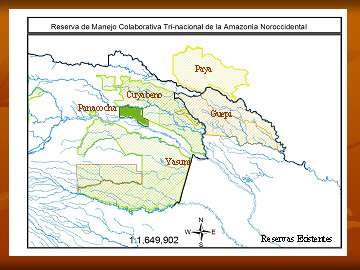 To preserve areas, Ecuador has created the Yasuni National Park Biosphere Reserve, the Limoncocha Ecological Reserve, the Cuyabeno Wildlife Reserve, Panacocha Protected Forest and others. The Napo and Aguarico River basins offer multiple possibilities for you to enjoy the ecosystem complexes, alluvial plains, swamps and flooded areas all of which are inhabited by a variety of species. 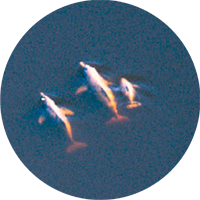 The Yuturi, Yasuni, Tiputini, Tivacuno and Cononaco rivers are completely surrounded by virgin forest, and of course the Pañacocha Protected Forest and its Amazon Dolphin Lodge are locate in a center of this giant national park system.